Want it by Wednesday 24th April? Order within 3 days, 13 hours, 47 minutes and choose Special Delivery at checkout. 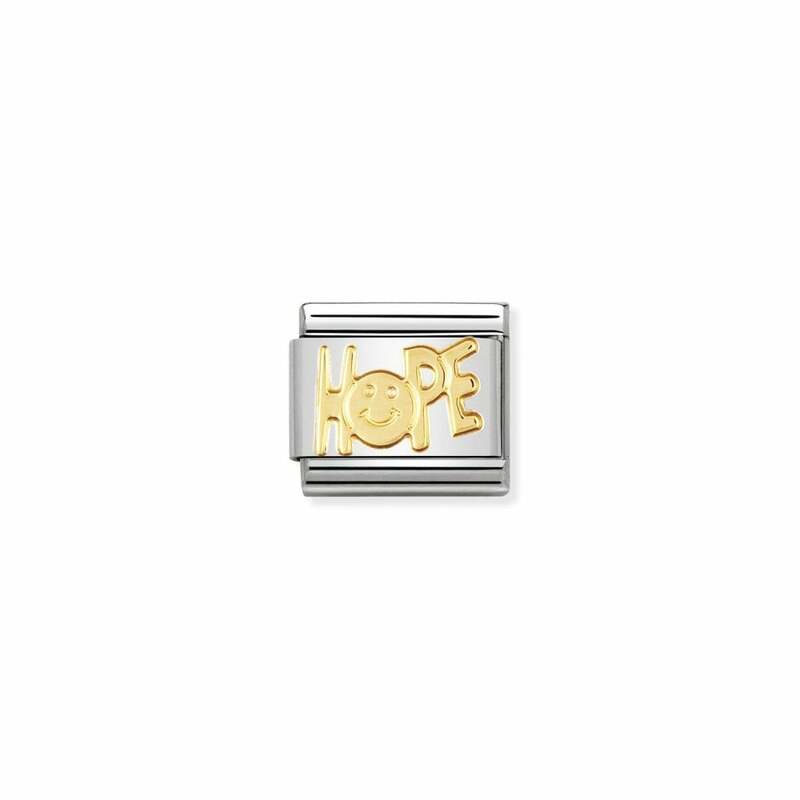 A classic gold word spelling out HOPE on a bed of stainless steel. The O is a smiley face to give you even more hope. Part of the Writings collection. A great gift for someone who needs to believe.